Architect Oki Sato is the creative mind behind Japanese design studio Nendo's playful, humorous designs. “My designs are always very simple and minimalist, but never cold”, said the Canadian-born designer, describing his creative concept. “My starting point is always the story behind the object.” Time and again he manages to achieve that 'wow' effect. Nendo enjoys playing with boundaries and loves creating little moments of surprise. At the same time, the products need to be easy to understand. Nendo puts a new interpretation on familiar objects and places them in a context that you really would not expect. This is also true of the LampShower, developed in conjunction with AXOR, which combines water and light in an unusual way. 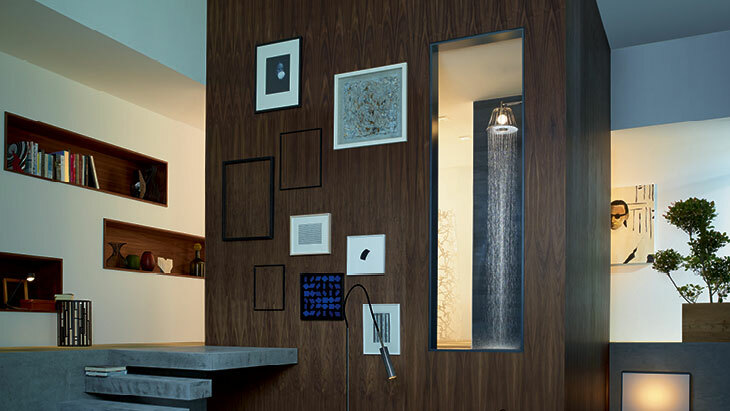 The boundaries between the bathroom and other living areas become blurred. As with the ShowerProducts for AXOR, Nendo works extensively with visual effects and transparency. A design principle based on lightness and humour is combined with sophistication in terms of design and usage of material. Designer and architect Oki Sato is a rising star on the international designer scene. Born in 1977 in Toronto, he founded the Nendo studio in Tokyo in 2002. By 2005 the studio had expanded to Milan and just a few years later, in 2012, Oki Sato was named “Designer of the year” by international style magazine Elle Décor and Wallpaper. The list of well-known brands that Nendo works for reads just like an international 'who's who' of the interior design industry. Commissions for furniture manufacturers such as Kartell, Cappellini and dePadova, along with Foscarini and Baccarat are just a few examples from his portfolio. Nendo has also designed showrooms for international brand names such as Puma and Louis Vuitton. 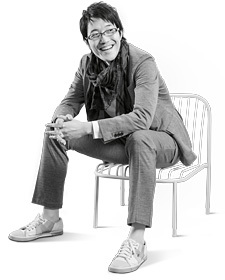 Oki Sato, creative head of Nendo.